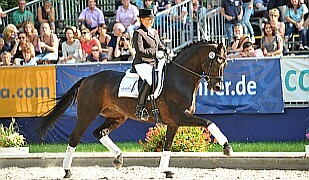 High modern oldenburger geldingt 4/2016 by Dr. Jackson/Ron Rubin/Diamond Hit with long legs and best neckline. 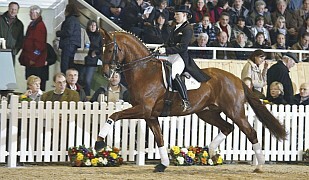 He shows all days very good movements with Championship Quality. Also he has a very lovely character and is uncomplicated in all things. Gelding which through his wonderful neckline and best movements know that he wants to by a star for the future by dressage, military or hunter. 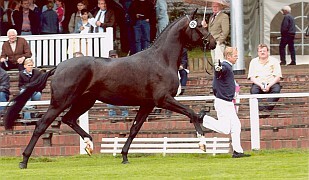 Modern typ, best movements, lovely character and best pedigree !! Currently castrated and so unbroken. 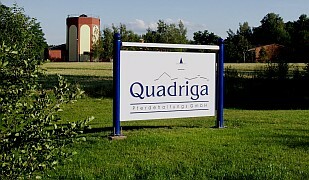 He is standing in gelding/stallion group in open stable. 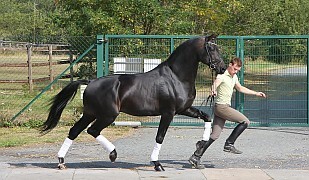 Sire Dr. Jackson is under the top 1 % of the german breeding list and has a great name as rideability maker under the sons of the Donnerhall line. 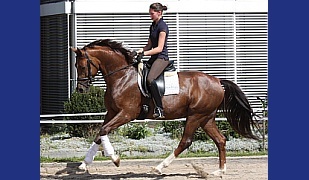 This beautiful gelding is ideal for the dressage rider looking to excel at the highest level !